ALLEA, the European Federation of Academies of Sciences and Humanities, published today the revised edition of The European Code of Conduct for Research Integrity, a document that serves the European research community as a framework for self-regulation across all scientific and scholarly disciplines and for all research settings. Particularly the revised Code addresses recent and emerging challenges emanating from technological developments, open science, citizen science and social media, among other areas. 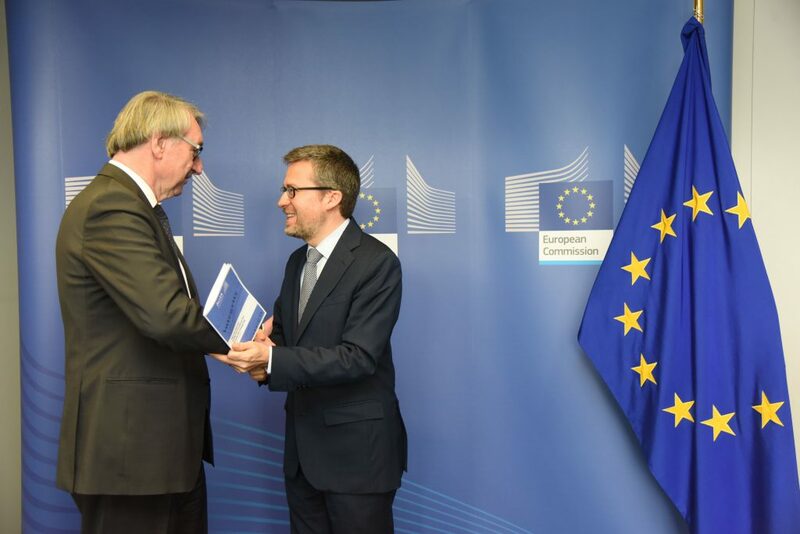 The publication was presented to the European Commissioner for Research, Science and Innovation, Carlos Moedas, in Brussels, who recognised the relevance of the ALLEA Code as a model for organisations and researchers across Europe. The Code sets out principles of research integrity, criteria for good research practice, and describes how to prevent violations of research integrity. The present revision is motivated by current developments in the European research funding and regulatory landscape, changing institutional responsibilities, and evolving review procedures. In addition, the Code is applicable to expanding open access publishing, and the use of digital repositories, and takes into account new ways of communicating science and involving citizens in research. The Code seeks to empower individual researchers and a variety of research bodies, funding agencies and publishers by creating a common understanding of how research should be conducted. In a meeting in Brussels, the publication was presented by the ALLEA President, Professor Günter Stock, the lead author of the drafting group, Dr Maura Hiney, and the chair of the ALLEA Permanent Working Group on Science and Ethics, Professor Göran Hermerén, to European Commissioner Carlos Moedas, who welcomed the publication. “The Commission’s recent White Paper on the Future of Europe shows that we need knowledge and innovation to respond to global challenges and to address the needs of people in the European Union. The public needs full trust in science, and this can only be achieved if the highest level of research ethics and integrity are guaranteed. This goes hand in hand with our Open Science agenda to ensure open access to scientific publications and data. I warmly thank ALLEA and its member academies for producing this new Code of Conduct for Research Integrity. I am sure it will serve as a model for organisations and researchers across Europe”, said Commissioner Moedas. President Günter Stock underlined the efforts of ALLEA in supporting the scientific community in the field of research integrity and particularly in keeping the pace with the changing conditions of the research environment. “Research integrity is a prerequisite for achieving excellence and building trust in research. The Code offers a common understanding on the ethical and practical challenges inherent to research in Europe and globally. Through the revision process, the Code helps researchers to navigate the changing and increasingly complex research environment they are facing today and in days to come. At the same time it reveals to the general public how researchers reflect on their work and what principles they follow”, said President Stock. The publication of the Code is the result of a ten-month revision process led by ALLEA’s Permanent Working Group on Science and Ethics, which brings together leading European experts in the fields of research integrity and research ethics. The revision process included an extensive stakeholder consultation at the European level, involving major actors in European research, both public and private, including civil society organisations, private institutions, universities, publishers and the European Commission. The Working Group will review the document every three to five years and revise it as necessary to account for future emerging issues. 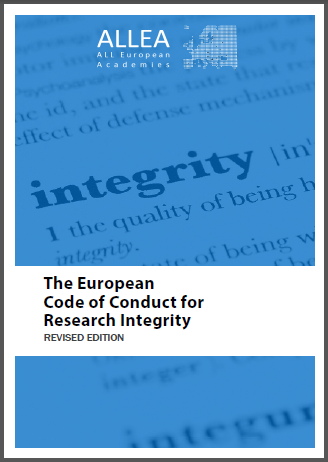 The European Code of Conduct for Research Integrity, which was originally published in 2011 jointly with the European Science Foundation (ESF), informs national research policies across Europe and is widely recognised as a general framework for research integrity on the continent. At the European level, the European Commission uses the Code as a reference document in the Horizon 2020 Model Grant Agreement. The Council of the European Union has also reaffirmed the importance of the ALLEA Code in its Council conclusions of 1 December 2015, which presented research integrity as an essential condition for achieving scientific excellence and socio-economic impact.